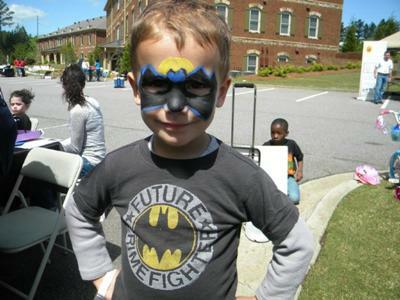 Georgia Brushstrokes offers face-painting entertainment for children, teens, adults, seniors and those of special needs. 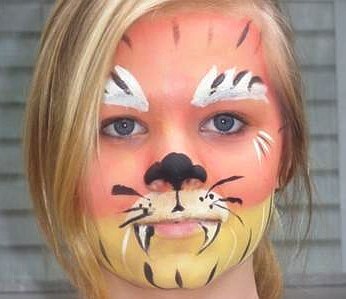 Fantastic funny faces, scary monsters, exotic animals, pretty princesses and many more designs to choose from for the face, arm or hand! 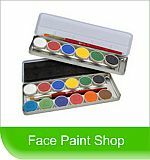 Only FDA approved professional face-paints are used. Susan does incredible work and workd exceptionally well with kids. We would highly recommend her in the future!!! Susan does wonderful work and I would recommend her and talents to anyone. My Grandson,Jaden has the most beautiful and unique nursery I have ever seen! !Thanks to Susan and Brushstrokes,he will have years of fun looking at his "jungle"!!!!! I have seen several rooms done by them, and they are truly talented. They are pleasant to work with, and accomodating to al requests. 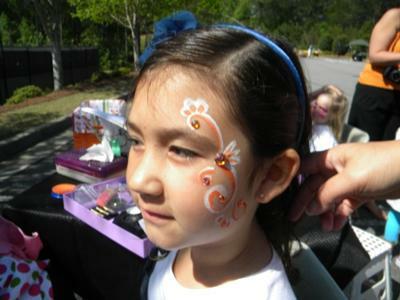 Brushstrokes Face Painting is a step above the rest! They provided two painters for the price of one and included bling glitter and GLOW in the DARK at NO CHARGE! The did such a GREAT job, we will definately use them again and recommend them to anyone in their area looking to add a lot of FUN to their event.